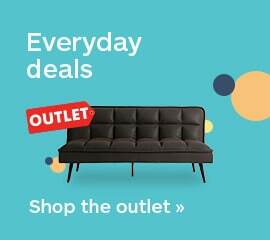 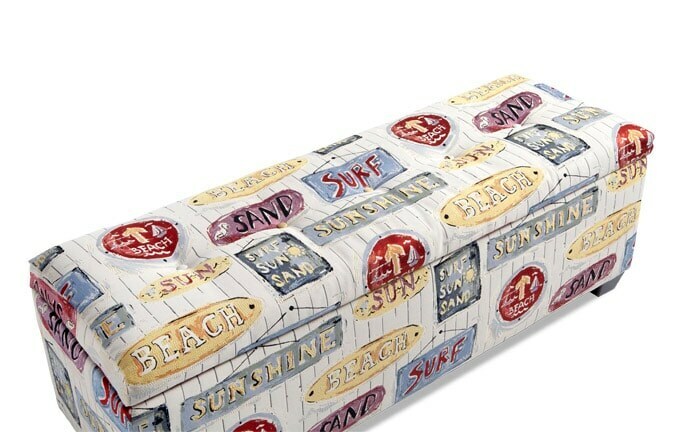 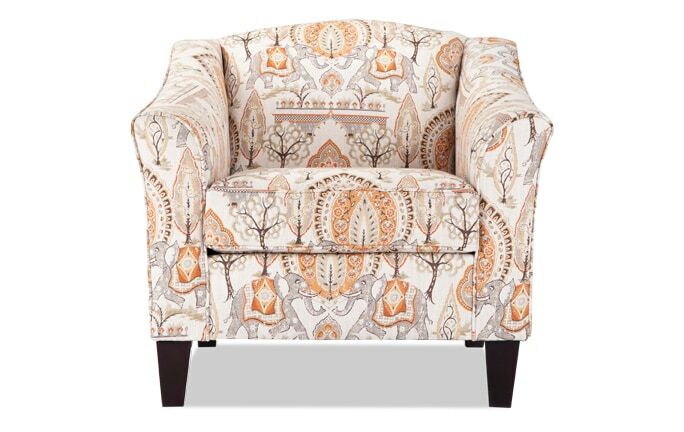 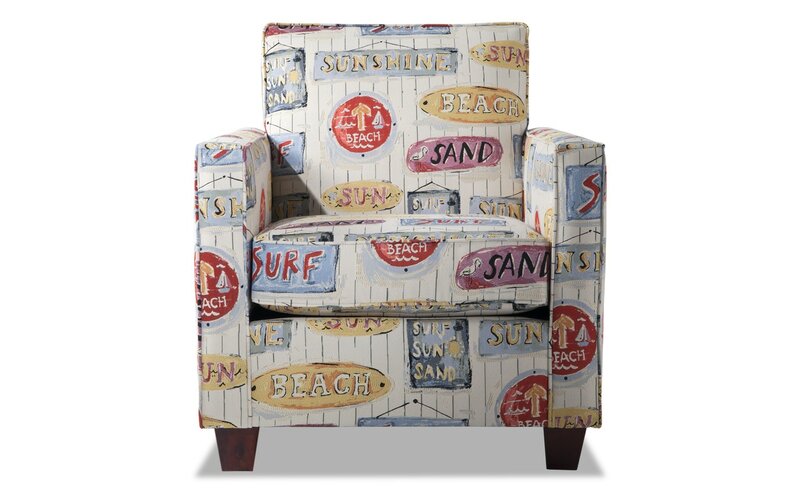 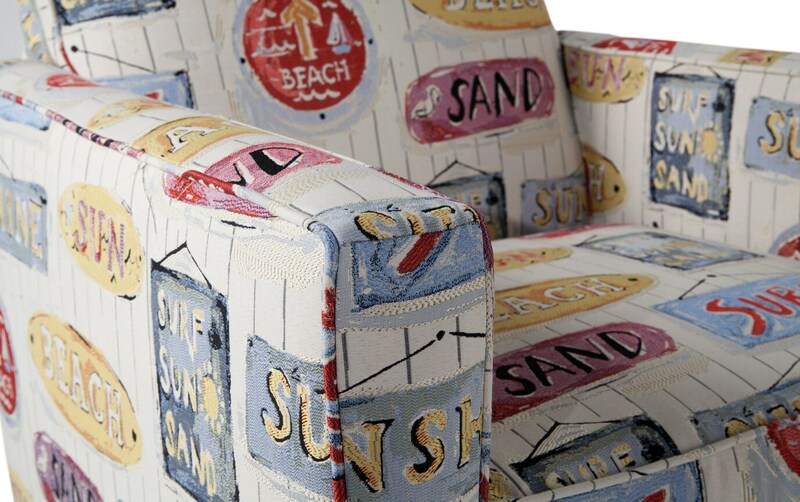 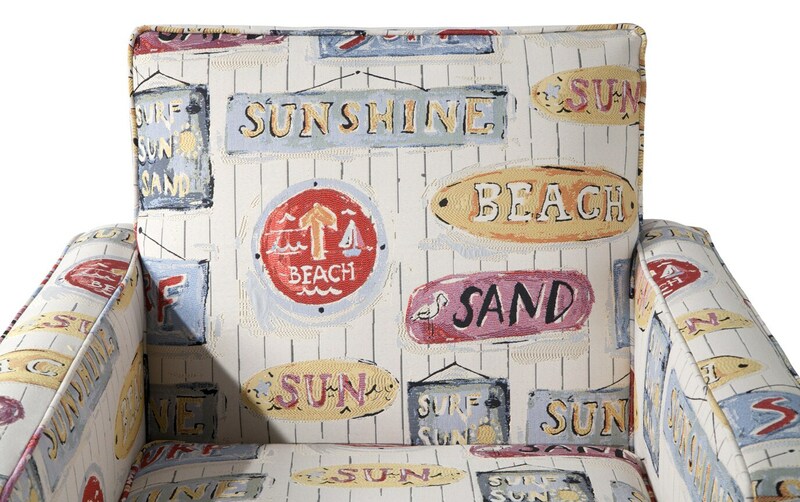 Bring the fun in the sun to your living room with my Ariel Sunshine Accent Chair! 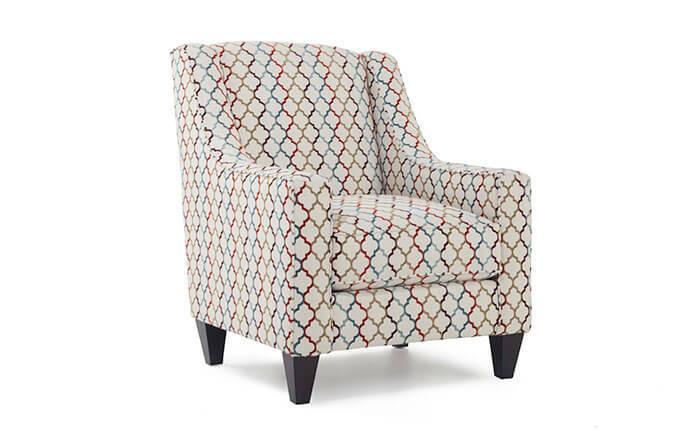 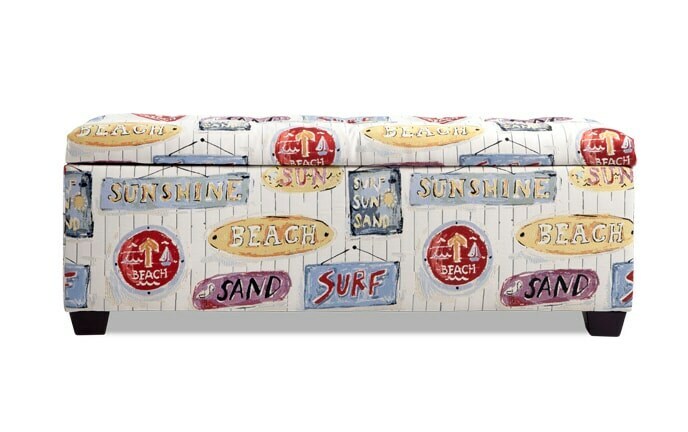 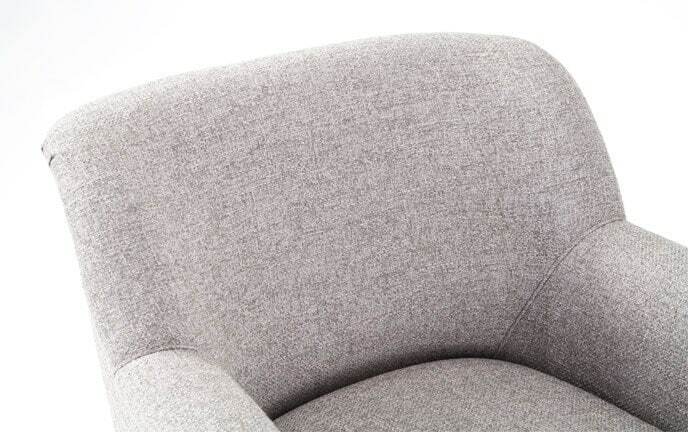 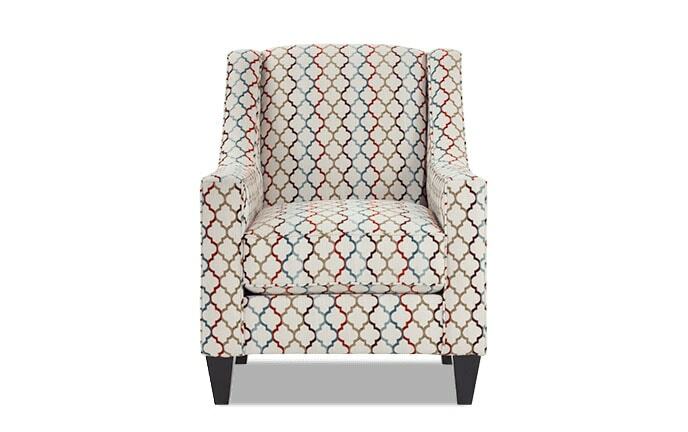 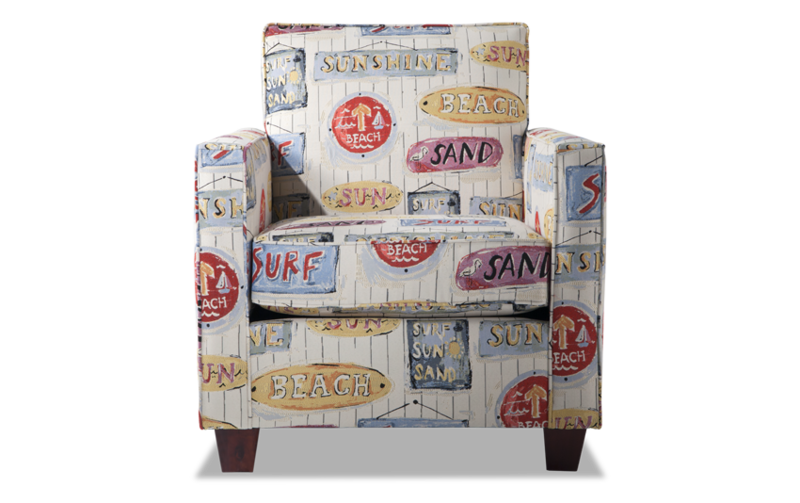 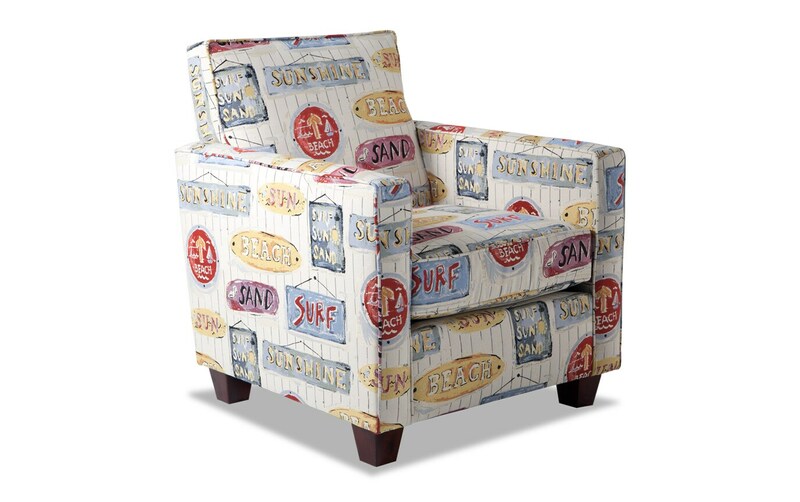 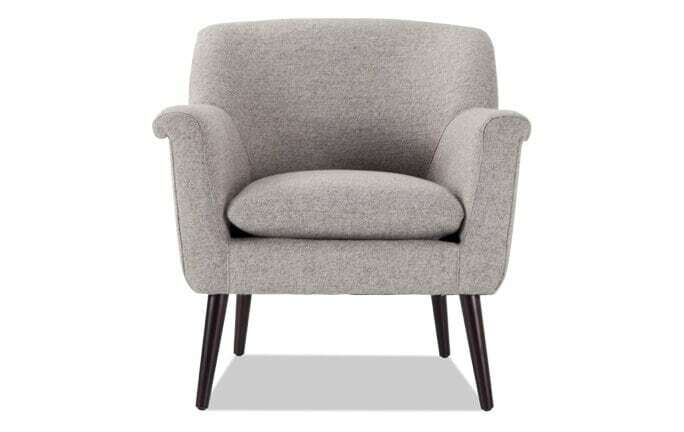 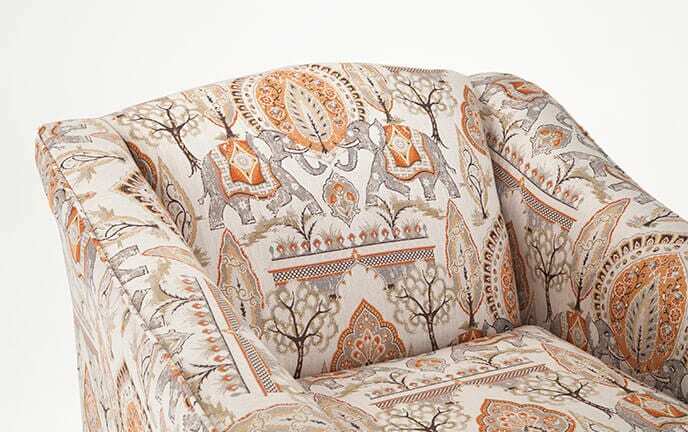 The nautical pattern, vibrant colors and plush Bob-O-Pedic Memory Foam make this chair as cozy as it is stylish. The matching welt, sleek track arms and wooden feet add even more value to this statement piece!